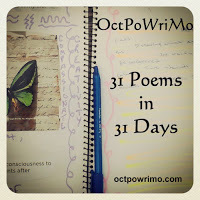 Today is the halfway point of #OctPoWriMo, and it also marks the day I truly struggled to write something decent. Writing this piece was a labor of dedication, and if I hadn't promised myself to do 31 poems in 31 days, I probably would have given up, at least for the day. And so, perseverance is the parent of this poem. Please enjoy. That's actually really, really sweet. I'm reminded of a beautiful song by Squeeze, called 'Heaven Knows'. Thank you! Now I have to go listen to that song! Your writing is so gentle and open, there's a vulnerability there that hints at developing strength. Thank you so very much for your kind words! Much appreciated! !